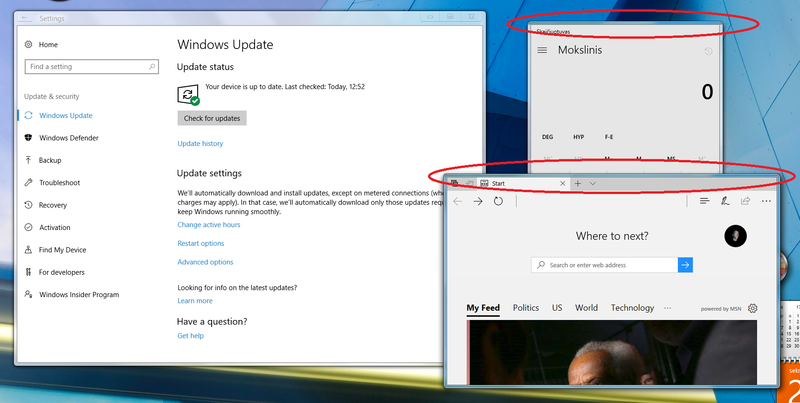 Photo, Edge, People & Calculator apps now have no Min/Max/Close buttons on the taskbar and zero transparency. Right Click can still be used to activate these functions which is a good comprimise while MS rolls out Fluent Design. I will continue to post on this Topic until BM creates a new topic for later versions. 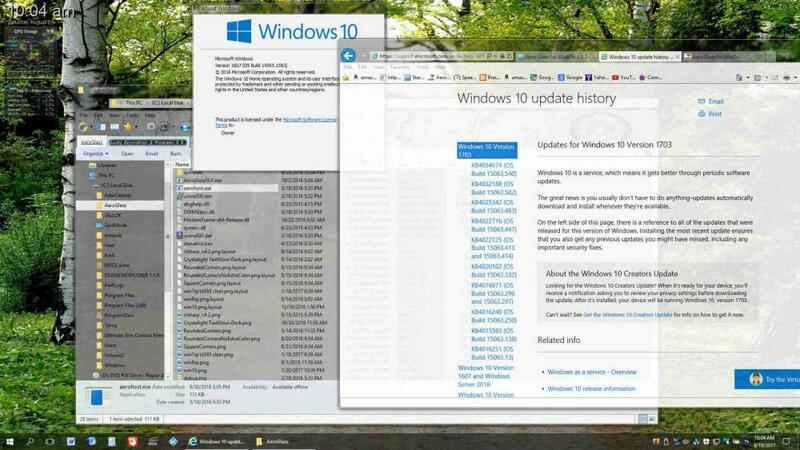 It's amazing to finally be able to get hold of a stable release but I'm having some issues with universal apps. In Settings app, back button stops working from time to time (hovering over it no longer even highlights it. I haven't tried yet to test Calendar and similar other apps which happen to make use of the same button). Although, this is more usable than what we've had before. Another problem is that some of universal apps have lost their titlebars (for instance, Calculator, Edge). I tried manually registering DWMGlass.dll but it didn't seem to do anything. 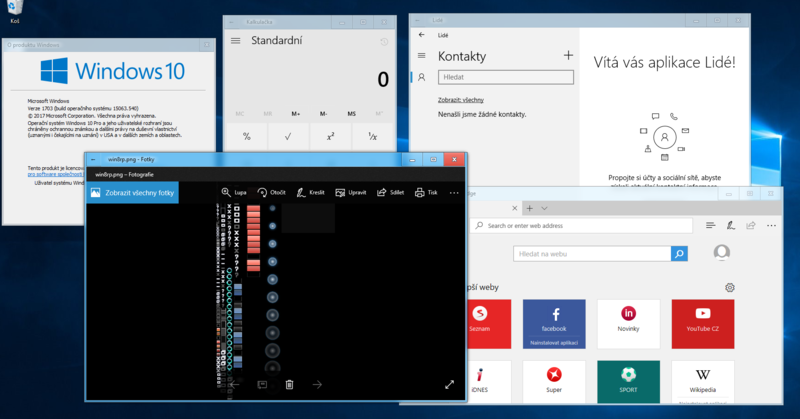 Another problem is that some of universal apps have lost their titlebars (for instance, Calculator, Edge). I tried manually registering DWMGlass.dll but it didn't seem to do anything. 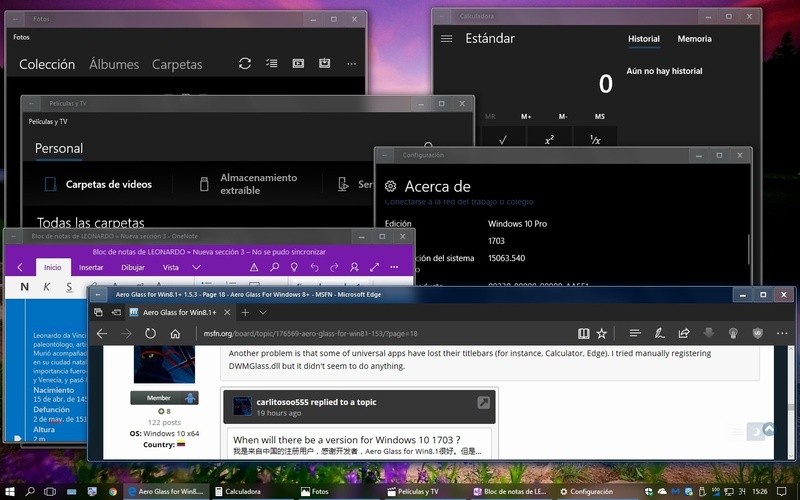 I managed to make version 1.5.5 work on those applications that use Acrylic in its titlebar like Calculator, Photos, Paint 3D etc, also on others like Edge and Onenote, I sent a message to Bigmuscle informing him how I did it. Version 1.5.5 installed and runs fine, once I get logged-in. No interest in Apps here, though it would be cool if it were possible to color and back the titles on ribbon-enabled windows like we once could. Note the Bowpad editor window at the center-right doesn't have the right title coloring. How about to share with the rest of us? I tried downloading the symbols for ApplicationFrame but it did not seem to make a difference. BugMuscle made the 32 version of 1.5.5 please. It seems that this method has worked for several people, I used another method that involves using a third-party tool to activate Aeroglass on those apps. P.S. I tried downloading Aplicationframe.dll and it also works. 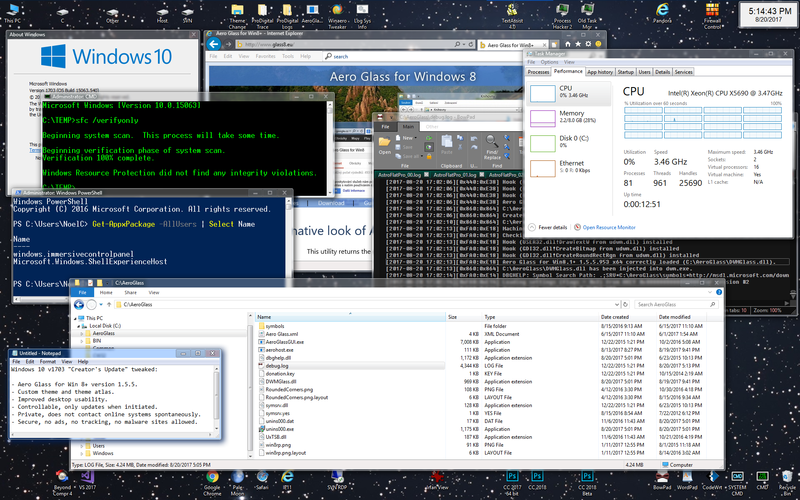 You use it or not it's an integral part of Windows 10 so Aero Glass must work correctly everywhere. Some people make use of universal apps more, some people less, nevertheless, all shall be content with their user experience.